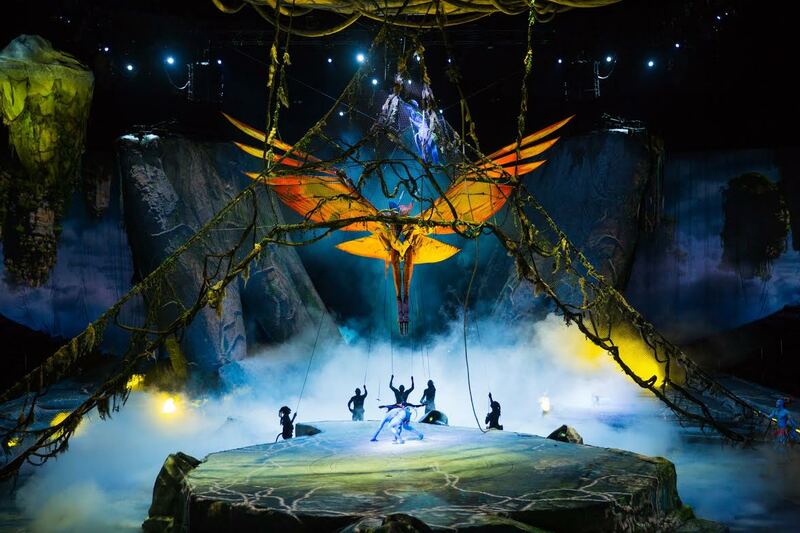 Last night my husband Gabe and I had the opportunity to check out Cirque du Soleil’s TORUK – The First Flight. This touring Cirque du Soleil show is inspired by James Cameron’s record-breaking movie AVATAR and is in Tampa until this Sunday. 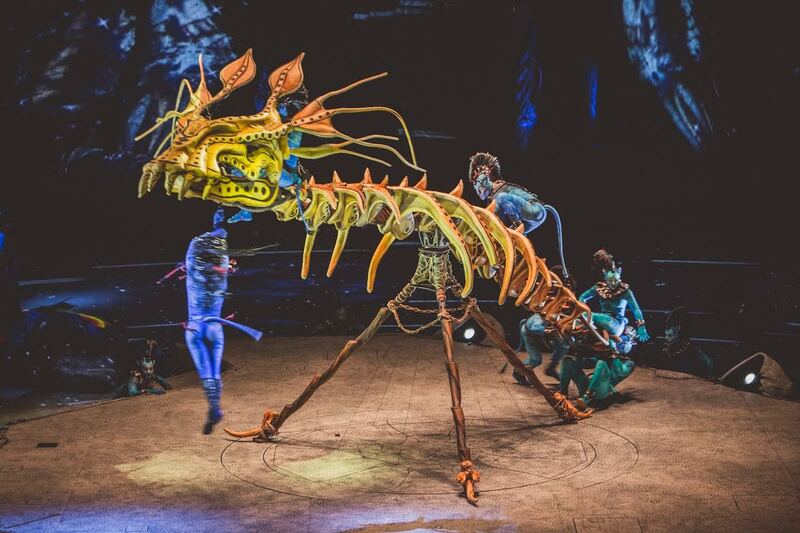 Cirque du Soleil’s TORUK was breathtaking amazing and is a must see performance. It is different than the Cirque's you are used to. Not as much acrobats and more illusion / special effects. It left me breathless at times - especially when you realize the show you are watching is where the Lightning play Hockey. If you don't have tickets yet, I suggest clearing your weekend plans and going to see this show. 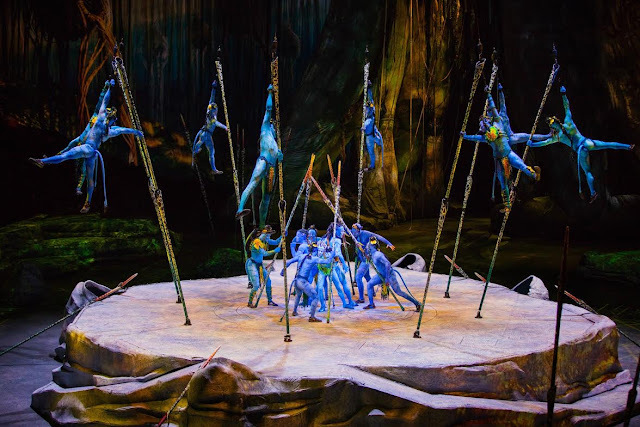 Aside from the incredible talent of Cirqe du Soleil's performers, there was added enhancements thanks to SAP. Before we arrived to the arena, we downloaded the TORUK – The First Flight mobile app to receive ticket and show information and immerse themselves into the world of Pandora to learn more about the characters and mythical storyline inspired by James Cameron’s movie AVATAR. Throughout the performance, the SAP HANA platform was able to give us a personalized experience delivered directly to our mobile phones. We let it know where our seats were and with audio visual technology,we were given a ton of TORUK-inspired special effects such as fireflies on our mobile screens that are stimulated by touch, viperwolf eyes illuminated on screen, thunder and lightning effects that push vibrations to the phones and interactive woodsprites that users can take home with them after the show. The app is available now through the Apple Store and Google Play. This live immersive experience also bears the distinct signature of directors and multimedia innovators Michel Lemieux and Victor Pilon. 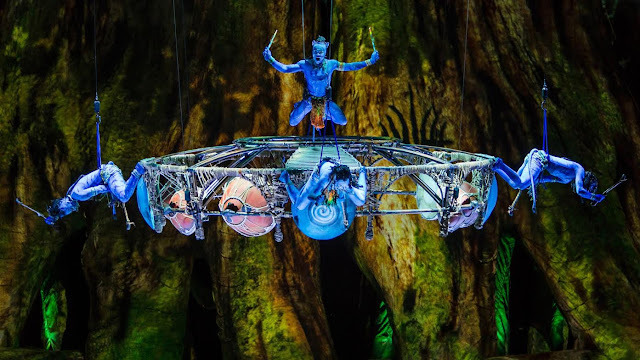 It is a living ode to the Na’vi’s symbiotic coexistence with nature and their belief in the basic interconnectedness of all living things. 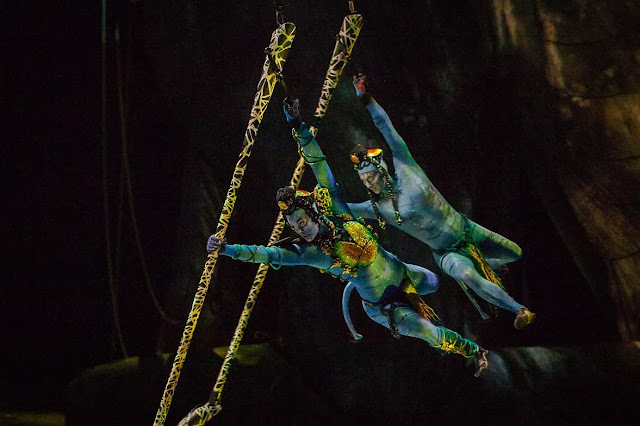 Narrated by a “Na’vi Storyteller” and populated by unforgettable characters, TORUK – The First Flight is a mythical tale set thousands of years before the events depicted in the film AVATAR, and before any humans ever set foot on Pandora.